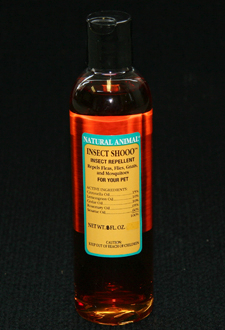 Herbal Shooo is a versatile blend of essential oils that can be used directly on your pet. Herbal Shooo blends easily with water to make an easy-to-use spray or it can be applied directly to your pet's coat with a cotton ball. Ingredients: Oils of Cedarwood, Citronella, Orange, Eucalyptus and Bay.